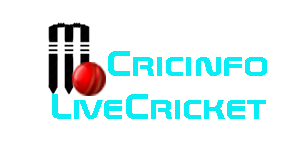 Sledging also been a part of Cricket When Australia play cricket, we are talking about India vs Australia ongoing test series. Aussies always have been a part of sledging, when they don’t win straight then do sledging. This time Australian Media also jump in this and attack on Virat Kohli. 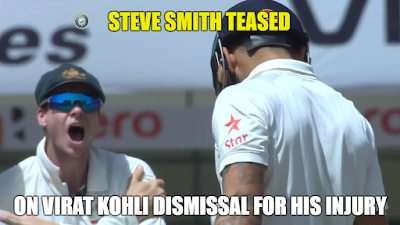 The Sledging War between Virat Kohli vs Australia starts long ago when India tour Australia 2016. Where Indian Skipper gave Aussies reply in their language that Aussies were not expecting with Indian player, because in Indian Cricket history that’s never happen. Now in 2017, India vs Australia 3rd Test Indian Skipper got an injury in his shoulder while chasing the ball. 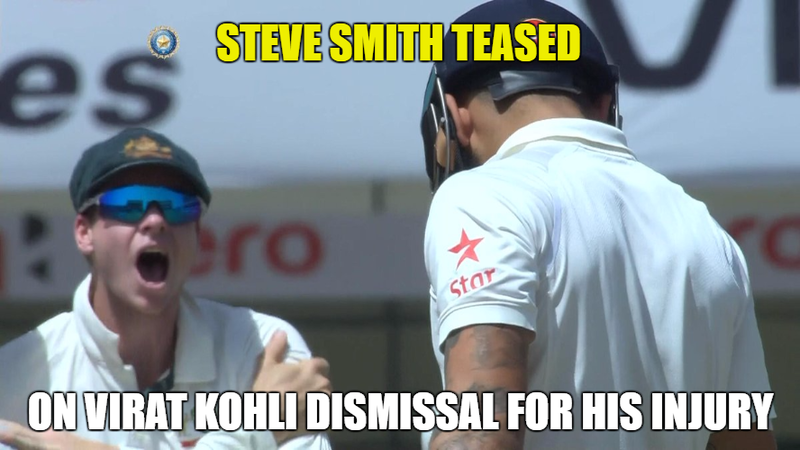 After that Australian player mocking Virat Kohli Injury which not good in Cricket. 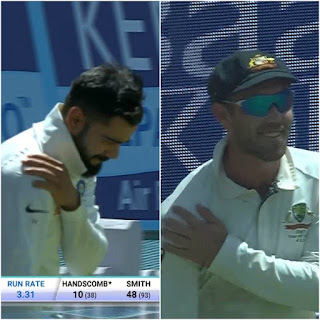 When Australian media don’t speak a word for their player behavior, but when David Warner out in 4th innings, Indian Skipper gave the reply in their language. After that Australian Media Criticizing Virat Kohli for his behavior. After the end of the drawn test in Ranchi, Australian Media counter the Virat Kohli for his aggressive expression in test Series against Australia. Australian Media compare Virat Kohli with US President Donald Trump. “Virat Kohli has become the Donald Trump of world sport. The Indian captain is a law unto himself with no one – not even the ICC or his own board – holding him accountable for his continual perpetuation of fake news. 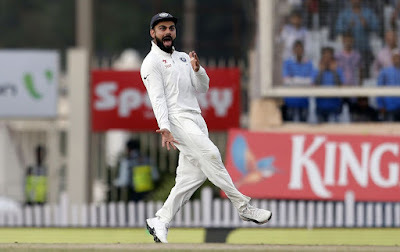 Just like President Trump, Kohli decided to blame the media as a means of trying to hide the egg smeared right across his face.” For more read an article at Daily Telegraph. Indian Mega Star Amitabh Bachchan defends Virat Kohli and slams Australian Media on Tweeter. Amitabh Bachchan “Aussi media calls Virat, Donald Trump of sports !! ... thank you Aussi media for accepting that he is a winner and the PRESIDENT ! !” 74 year old who has 25.6 million followers which has more than Virat Kohli, BCCI, Cricket.com.au and Steve Smith combined. Virat Kohli could not hope for a better spokesperson stands for him. Amitabh Bachchan is an eager cricket fan and it’s fabulous to see him standing up for India’s skipper on a public platform.